Enhanced civil nuclear cooperation with a deal for the US to set up six nuke reactors in India will help iron out wrinkles in bilateral trade relations, writes India Inc. Founder & CEO Manoj Ladwa. India and the US have agreed to set up six nuclear power reactors in the southern Indian coastal state of Andhra Pradesh. The transaction, involving the sale to India of six Westinghouse AP-1000 reactors, follows from the Indo-US Nuclear Deal signed in 2008. This development is important from several perspectives. The most important, I believe, is the diversification of India’s energy basket. Then, there’s a strategic angle that many people tend to overlook. There are also economic, technological and ecological factors at play that any cogent analysis must take into account. Let me explain why I believe the diversification of India’s energy basket is the most important takeaway from the deal that was announced recently. But before that, nuclear energy suffers from a huge cost disadvantage vis-à-vis other sources of power. A megawatt of thermal, hydro, wind and solar power capacity costs anywhere between $700,000 and $1.25 million. The cost of the Russian reactors in the Kudankulam nuclear power plant is about $2.5 million per MW. The cost of the Westinghouse reactors that are now proposed under the Indo-US deal is about the same. This is a huge difference, especially in a value-conscious market such as India. However, the saving grace is the low cost of wind and solar power and the planned capacity additions in these sectors. When the total power generated from all sources is averaged out – and this is the method followed in setting both the bulk and retail prices of electricity – the absolute increase in cost is in the region of 0.4-0.6 cents per unit. But to come back to why I think the latest announcement is good news: Out of India’s total installed capacity of 350 GW, thermal capacity still accounts for an overwhelming 64 per cent. Next up is renewable energy, mainly wind and solar power, with a 21 per cent share, followed by hydro with 13 per cent. The share of nuclear energy, at 6.8 GW, is 1.9 per cent of India’s total energy mix. This is extremely low by global standards. And it has to increase substantially in order to support India’s world-leading position in the solar and wind energy sectors. Many people in industry will already know this, but for the benefit of others, let me explain. Ever since Narendra Modi dramatically announced, amid much international appreciation, a multi-fold increase in India’s renewable energy ambitions, there has been a quantum jump in capacity additions in India’s wind and solar energy sectors. These now account for more than 74 GW, or over a fifth of India’s of installed capacity. Now, wind and solar are known as infirm sources of power, i.e. they cannot generate power 24×7. Solar plants begin generating power a little after sunrise and stop at sunset. Wind turbines generate power only when the winds are favourable. So, they cannot be used to generate power at will at any time of the day. In India, the power demand peaks in the evening and tapers off during the day. In other words, power demand is generally the lowest when solar plants are generating the highest amount of power and rises progressively as solar plants begin to stop functioning in the evening. The sudden “retreat” of such as massive amount of power from the National Grid at the onset of evening jolts the grid and can cause instability that can lead to outages and even grid collapses. The remedy for this is to balance this sudden pullout of solar power from the grid with an alternative source of power. Thermal power plants cannot ramp up production fast enough to balance this pullout. There are three alternatives available for this “balancing” power: gas-based power plants, hydropower plants and nuclear power plants. The first alternative, though theoretically attractive, is hamstrung by the unavailability of sufficient quantities of gas. There are, in fact, several thousand megawatts of gas-based capacity lying mothballed in India for want of gas supplies. The remedy, therefore, has to come from a judicious mix of hydropower capacity and nuclear power capacity. Till the development of sufficiently advanced and cheap battery storage technology, which can negate the infirm nature of wind and solar power, therefore, nuclear power will remain an important corollary to India’s renewable energy ambitions. Now, let me turn to the strategic angle I mentioned earlier. The world has recognised India as a responsible nuclear power but Chinese intransigence has kept India out of the important Nuclear Suppliers’ Group (NSG). India needs US support to enter this important club of nuclear technology owners. 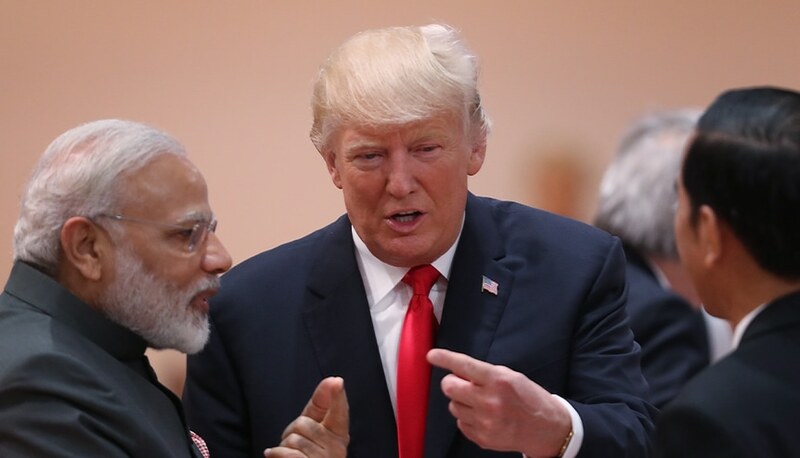 The US has committed itself publicly to helping India in this respect but there is a widely held concern among important stakeholders in Washington that US companies have not benefited at all from the nuclear agreement with India. International relations work on the principle of give and take. A key understanding in the Indo-US nuclear deal, which gave India entry into the nuclear powers club, was that India would buy reactors from the US. The US has kept its side of the bargain; now India has to keep hers. Then, this announcement has to be seen in the context of the overall Indo-US strategic partnership. Countries with nuclear technology share it only with their closest allies. Coming as it does, close on the heels of the unstinted support extended by the US to India’s non-military intervention against a major terrorist training camp in Pakistan, this deal indicates that Washington is serious about walking the talk on this important relationship. Then, Westinghouse, which was earlier owned by Japan’s Toshiba Corporation, is now owned by a Canadian fund. The company, however, still sources a large number of components from Japan. Both these countries, especially Japan, are important strategic partners of India and the deal can only serve to deepen the broad geo-political convergence between them. The economic, technical and ecological aspects of the deal for six nuclear reactors are no less important. Apart from the economic advantages of diversifying its energy basket, the mega power deal will help India generate more electricity, which is the main enabler of economic activity. Then, contrary to popular misconception, nuclear power is also a renewable source of energy and is a completely non-polluting source of power. So, additional nuclear power capacity will take India away from polluting power sources such as thermal and diversify India’s renewable energy basket as well. There could be another collateral advantage for India from this announcement. At a time when US President Donald Trump has withdrawn the Generalised System of Preference (GSP) benefits for Indian exports, a multi-billion-dollar nuclear export deal with India will enable India’s friends on Capitol Hill to present the White House with solid evidence that not only is New Delhi serious about balancing its trade surplus with the US but that it is also providing employment in traditional industries. This will allow India to credibly counter the argument that Indo-US trade is a one-way street favouring India. I call this a possible collateral advantage because, considering Trump’s track record, it is not a given, but taking into account his transactional behavioural pattern, it is within the realms of possibility. In sum, I think the pluses far outnumber and outweigh the negatives. This deal will go a long way in clearing the hurdles that have appeared in the path of what many analysts feel can become the defining partnership of the 21st century.